Everyone in health care knows about the great vaccine debate. It is almost as contested as Health Care Reform. Personally, if I can avoid having diseases that make me febrile, itchy, or otherwise considered a social outcast—I’m all for it! There is a concept called â€˜herd immunity” which means that people don’t vaccinate their children because they rely on the â€˜herd” to be immunized and therefore their child would be protected by default. However, this herd concept is failing. 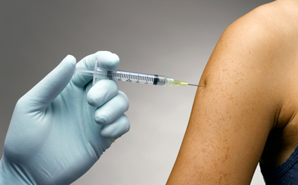 According to the World Health Organization, failure to vaccinate is responsible for a measles outbreak in Europe. More than 6,500 cases of measles have been reported in 33 European nations between March and January, including 4,937 cases in France alone, the Associated Press reported. I don’t know about you, but I don’t want to get measles. I don’t want my kid to get measles. I don’t want my friends kids to get measles. Make an informed decision about vaccinations—based on science and research, not any actor’s opinion. Please do it for the herd.